It takes a village to operate a successful virtual credit card program, and you are going to need help from your entire organization to be successful, far beyond implementation. From vendor enrollment, rebate strategy and competitor benchmarking, a virtual credit card program is something that needs to be managed from year one to year fifteen. 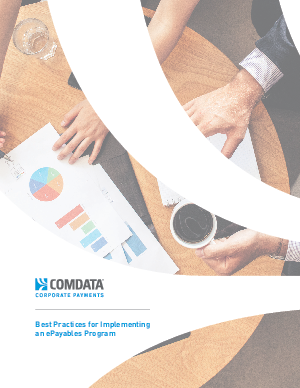 Download our white paper to learn best practices for implementing an ePayables program, like designating an executive sponsor, setting program goals and promoting your program within your organization.